With the season coming to an end, there is only few things left to play for in English football. 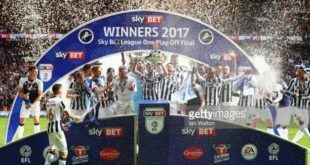 Alongside the FA Cup final on Saturday, the two following days are the remaining play-off finals after Millwall won the first promotion through the play-off route from League One. Everyone hears about the success stories and the winners are usually the most talked about, but whatever happens to the losers? Apart from being left to compete in the same league again the season after, much to the disappointment of the fans. Who are the ‘unlucky’ ones? Let’s look. Now, having the most participations in the play offs is usually a great achievement but If you’ve only been successful one out of 10 times then it’s nothing short of embarrassing. The club under the microscope is Preston North End. Their bad luck was covered a tiny bit when their last appearance brought up their only success when Jermaine Beckford fired a Wembley hat-trick to send them into the Championship. There are two teams who would argue they have an even worst record, having the most participations without winning a final and that is Sheffield United and Brentford (8 to be precise). Both clubs missing out in the past few years, Brentford knocked out in the semi-finals to eventual winners Middlesbrough in 2015 and Sheffield United losing a penalty shoot-out at Wembley to rivals Huddersfield in 2012. Probably for the best that the Blades went up by winning the league this year! That’s not all for the Sheffield United fans who hold the record for the most play-off final defeats, Wembley is not a happy hunting ground for them in red and white. United lost the final twice in a poor spell for the club between 2009 and 2012. But at-least their neighbours do not fare much better with Sheffield Wednesday having back to back play-off disappointment in the past two seasons. 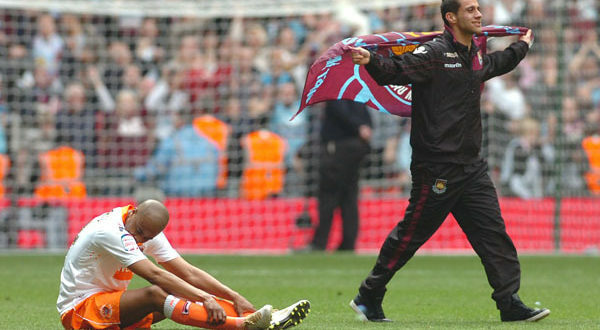 Despite all these negatives, there is one side who relishes the opportunity of promotion and that is Blackpool. They have the most final appearances with seven attempts at Wembley and the joint most successful trips to London winning four of those. I may add that the seventh appearance at Wembley in a play-off final is yet to come with the Tangerines lining up on Sunday with a chance to make it five successes against Exeter City.